FMA PAC Online Membership Form: Join today! Join Us In Support Of The Future of Pro-Medicine in Florida! FMAA President Mariquita Anderson (L) and Immediate Past President Angela Abrams (R) show off the FMA Alliance's WIN of the FMA PAC trophy at the 2017 Annual Meeting. 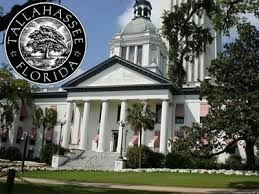 Because you can’t be in Tallahassee throughout the regular session to lobby on every important health care issue that will be debated in the Legislature. You can’t watch every committee meeting and hear what medicine's opponents are telling legislators, the FMA Alliance collaborates and supports the efforts of the FMA PAC to be there when we can't. Our interests and presence at the Capitol is critical, so please consider joining the FMA PAC to help in the fight and protection of pro-medicine issues and the medical profession as a whole. Let Florida legislators know that physicians and their families have a strong FMA PAC on their side to protect medicine, their patients and their families. Every day counts. The FMA Alliance works with and supports the efforts of the FMA PAC to advance medicine-friendly legislation. The FMA is responsible for many of the pieces of pro-medicine legislation that advances in the Florida Legislature. When it comes to advocating for the medical profession and patients, in Florida there is no group that is respected more than the FMA. The FMA PAC solicits voluntary contributions from healthcare professionals, spouses, medical students and residents to research, select and support the election of medicine friendly candidates. With the support of healthcare professionals from around the state, the FMA PAC is Florida's No. 1 medical PAC. Does the FMA PAC endorse both Democrats and Republicans? Yes. The FMA PAC is bi-partisan, supporting candidates of all parties that are pro-medicine. We work closely with County Medical Societies and our Physician Board Members from around the state to identify pro-medicine candidates as they seek elected office. Who can be a member of the FMA PAC? Membership of the FMA PAC is comprised of physicians, their spouses, medical students, residents, and physician assistants. Many large groups and medical staffs around the state have given generous donations as well. The FMA PAC Board & Executive Committee are comprised of physician leaders from around the state. There are up to sixty-five physician members, one medical student member, up to seven alliance members and one PA Member. How can I become a member of the FMA PAC? There are several levels of commitment to the FMA PAC. Learn more about investing in the family of medicine and become a member today Click Here to Donate Online or Print Membership Form.